PlusCDB Oil . 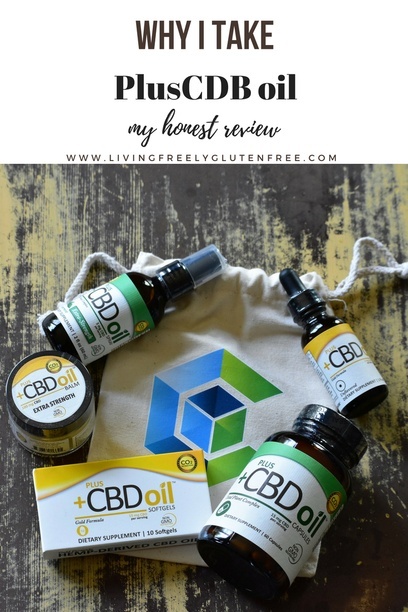 My honest opinion of why moms can benefit from CDB Oil. I received this PlusCBDoil product for free from Moms Meet (momsmeet.com) to use and post my honest opinions. Compensation for this post was provided and this page may contain affiliate links. This is my PlusCBDoil review. I have been using CBD oil creams topically for years now. I am a strong believer in the medicinal uses of marijuana and CBD. When Moms Meet reached out to me about trying the PlusCBDoil supplements in exchange for a review I said yes, because I wanted to see what this supplement was all about. First of all- I honestly didn’t expect to see anything from taking these and I was skeptical, having not heard of CBD oil in a pill supplement form yet, or a spray. I took it for a week and didn’t notice much of a change, until I didn’t take it for a week. I was traveling for a week and forgot to pack it with me. For the majority of the trip I was grumpy and full of anxiety. We are actually getting ready to move from WA to CA and when I started taking PlusCBDoil we were in the beginning stages of selling our current home. I traveled to CA in hopes to find a home and I did not. With the difficulty of selling a home, buying a home, and packing an entire house simultaneously- I felt like I was drowning. One morning I had 3 panic attacks and was suffering an anxiety attack that felt like it lasted for 3 hours. At this point in time we had 18 days left in our current home and we had put in 3 offers on homes in CA, in which none were accepted. There were not many homes in our price range and I was freaking out about our living situation. I remembered I had this CBD oil supplement that I needed to be taking in order to write this review so I decided to begin taking this supplement. 1 hour later after consumption of the PlusCBDoil, I felt calmer. My heart rate was back down to normal and I felt like I could breathe again. I thought, was this a coincidence? Since that day, I have been taking the supplement regularly. They offer it in a pill supplement or a spray that you spray directly into your mouth. The pill supplement has a higher dose, so I would recommend it for days when you might have higher stress. It is amazing how I now notice the difference when I don’t take it. I truly believe the PlusCBDoil has made this move and everyday life calmer and less stressful for me. If you are a busy mom then this is truly what you need! I wish I had this 3 years ago when my daughter was born and I had a toddler. Being a Mom is a hard job that never gets a break and sometimes it can feel so overwhelming that we are just drowning. Before turning to prescription medication, try all of the natural routes available to you- this is one of those. CBD oil is a hemp-derived cannabinoid- Along with containing excellent nutritional value, it has the potential to ease the symptoms of different ailments, and has been recognized for it’s benefits on human health, isn’t that exciting? Can I get high from CBD oil? No, you can not get high. THC (the psychoactive compound) has been removed, therefore there is no high. CBD (Cannabidiol) has been recognized for it’s benefits on human health and is capable of affecting nearly every biological process. Hemp-derived CBD is a phytocannabinoid, meaning a plant-derived cannabinoid. CBD interacts with our innate internal system called the Endocannabinoid System (ECS). The ECS is a pretty recent discovery that was only identified in 1992. The ECS is composed of specialized lipids, their receptors, and the enzymes that produce and degrade them. Through direct and indirect actions, endocannabinoids are known to modulate and influence a variety of physiological systems, including appetite, pain, inflammation, thermoregulation, intraocular pressure, sensation, muscle control, energy balance, metabolism, sleep health, stress responses, motivation/reward, mood, and memory. Hemp contains excellent nutritional value, providing nutrients like essential fatty acids that the human body does not produce naturally and must be consumed through diet. All PlusCBDoil products are gluten free, non-GMO, 100% vegetarian, and grown without herbicides, pesticides, or fungicides. PlusCBDoil products are CO2 extracted and tested in a state-of-the-art laboratory. The price for a 60-count bottle of 15 mg capsules is $69.95. Where to purchase PlusCBDoil products? PlusCBDoil products are available to purchase at your local independent health food stores or at pluscbdoil.com. To find PlusCBDoil in your area, visit: pluscbdoil.com for a full list of all locations. Use code- momsmeet17 for 15% off your purchase! And of course, PlusCBDoil is gluten free! 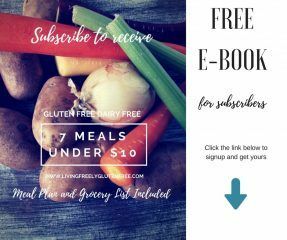 I am so happy to share all of the gluten free goodness with you my friends. 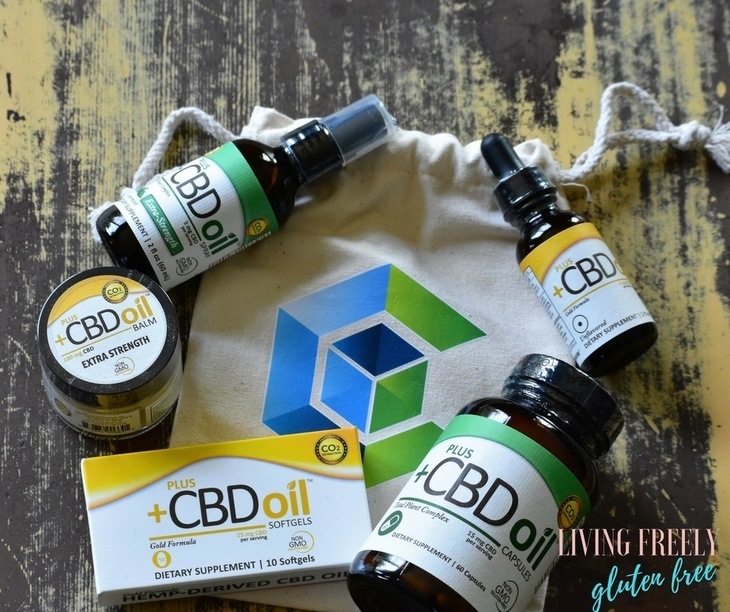 Have you tried a CBD oil supplement?